DirectoryApp is a business directory script written in PHP. 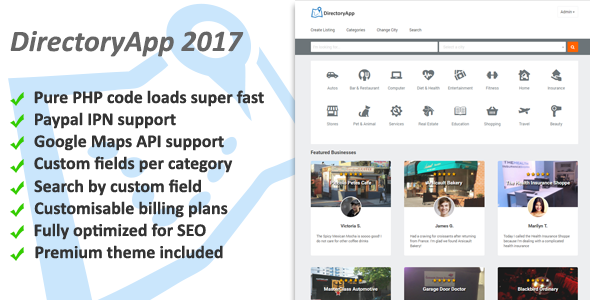 With this script you can build â€œYellow Pagesâ€ type of sites, city guides, local businesses classifieds and so on. This script is continuously being developed and updated.